February 1 is the half-way point of winter and if winter has been anything in your area like it has been here in Iowa, I am quite sure you are sick of it. Celebrating that we have made it half-way through winter sounds like a good plan to me. All of us have little ways to get through the long days of winter and so today I’m sharing a few of them with you. I’ll be linking up with Modern Mrs. Darcy where you can see how others are getting through the winter blues and maybe take a few tips to survive until Spring. 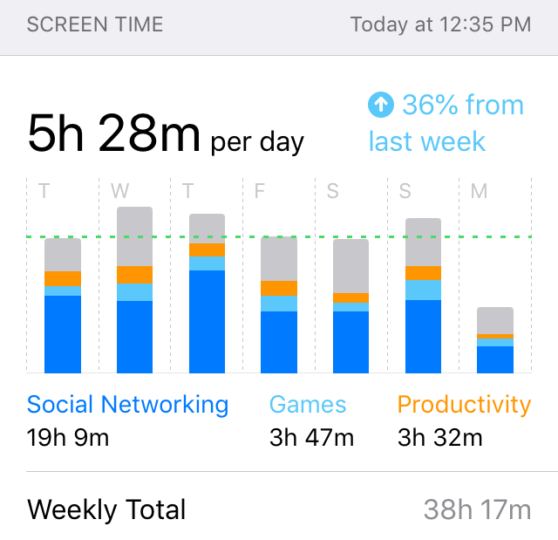 Apple IOS 12 shares your screen time data each week. I’d like to be on my phone less and this update gives me that motivation each week to lower my screen time. With 4 no school snow days last week and 4 days this week (yes that’s 8 SNOW DAYS IN A ROW) I noticed my screen time went up, but I can see where I spent my time and continue to work on lowering it the next week. We’ve had a Keurig for many years, but it was the smaller/ cheaper version that didn’t have a reservoir. We got a new one, the one pictured, that allows you to choose from four different sizes of cups, the strength of the brew, and it has a reservoir. It makes making coffee or tea so much easier! Since I tend to like flavored coffee and my husband likes darker brews, we can both make our own cup quickly and to our own taste. During these cold winter months, my skin takes a beating. 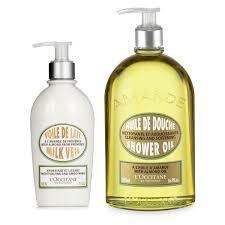 A few years ago a friend of mine told me about L’Occitane Almond Shower Oil and Milk Veil. Oh my gosh, I swear by this stuff. It isn’t cheap, but it’s worth it for me to have soft and moisturized skin. I use the milk veil as a lotion for my hands mostly and the shower oil every couple days in the shower. Sadly, there isn’t a store near me so I usually purchase online HERE, if I can’t get to the closest store which for me is the Mall of America. I’m going in three weeks so I’ll be stocking up! I also love that refills come in bags so I can just refill my bottle as needed. When I get in a reading slump (as if I don’t already have enough books in our house) or need an audiobook, this is my go-to. I’ve purchased fewer books on Kindle because I check here first to see if our state library system has it. 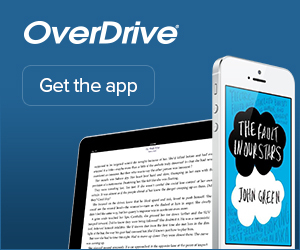 I may have to wait for my turn to read it, but knowing it’s available for free allows me to be patient. Listening to podcasts or audiobooks while I’m doing dishes, cooking, cleaning, or getting ready in the morning through a speaker rather than just through my phone speaker is life-changing. I can have the speaker in our kitchen and can be gathering laundry or dusting in the living room and still hear everything I need to hear. Places like Chick-fil-A, Panera, and Starbucks (I’m sure there are more, but these are my favorites) allow you to download their app and then place your order before you arrive. Then you can pick it up and leave or have it ready for when you arrive. It saves tons of time and allows me to make my meal choices without feeling like I’m holding up someone in line. Also, I’ve found options I didn’t know were available for certain meals just by ordering online. I have had a heated mattress pad for as long as I can remember. Crawling into a warm bed when it is below zero and the wind is howling outside is such a wonderful feeling. This week we had record lows like many others across the country. Our bedroom windows face the west and most of the time the wind is blowing from that direction so our bedroom is a bit colder. Having a warm bed is such a blessing. These are just a few of the things saving my life and getting me through these long winter days. What is something that is saving your life right now? Feel free to share in the comments! 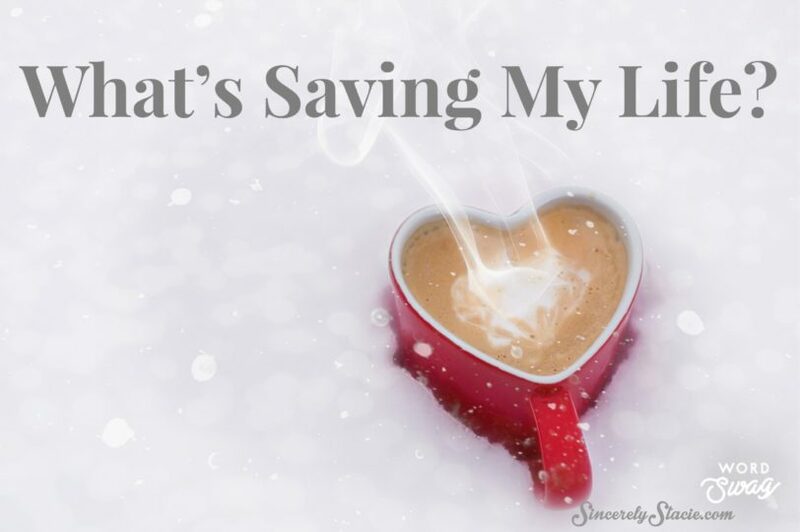 2018 WHAT’S SAVING MY LIFE? The hair product mentioned is still life-changing. I’m still drinking the same tea and using the same journal. 2017 WHAT’S SAVING MY LIFE? I’m still using the same blanket, in fact, I’m sitting under it right now. This post contains affiliate links. 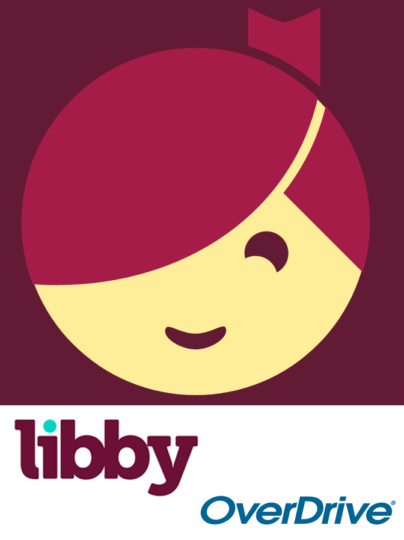 I may receive a small commission if you purchase items through the links in the post. 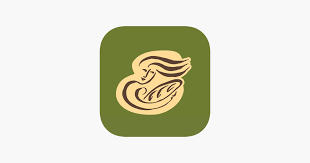 I usually order from the Panera app or online for the same reason – I can see all the calorie and menu options without holding up the line. Plus, it’s easy to customize and add random items to my sandwiches or salads! That’s how I discovered you can change the bread on your sandwiches – pretty exciting haha. Oooh thank you for your Keurig recommendation. I’ve been thinking of finally getting one, and this one looks just about perfect. Love the idea of the heated mattress pad! 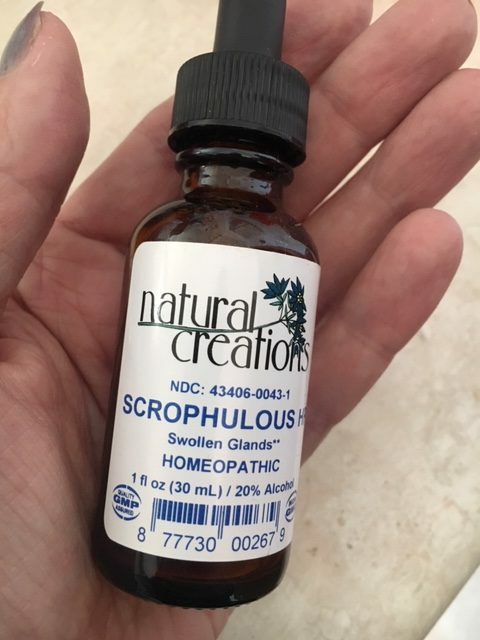 And, I am intrigued at the homeopathic treatment you found helpful. I will have to look into that. Maybe something along those lines would help with my allergies. I love my Keurig, too! I have a heated blanket and I love it since Russ doesn’t love being warm at night. The mattress pad has dual controls so I can choose the setting for my side of the bed and Pat can choose his. It’s the only way it works for us!